If you love the exotic taste of Greek food, come to our Greek restaurant for lunch or dinner and enjoy a gyro sandwich, salads, and other Greek dishes. 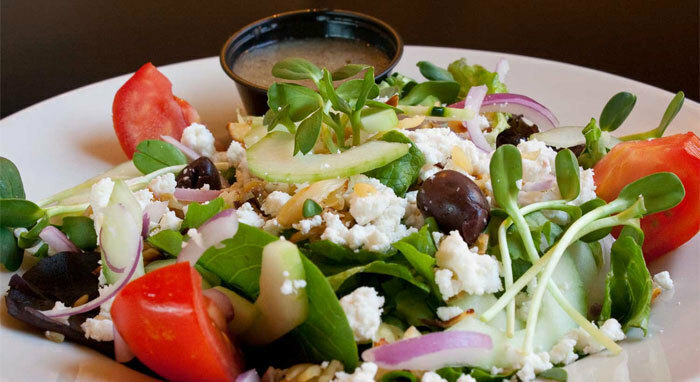 The Gateway to Athens provides a comfortable, relaxed atmosphere where you can dine in or take out and enjoy our homestyle Greek cooking. From salads filled with fresh vegetables to hot sandwiches filled with tasty grilled chicken, pork or lamb and beef you and your friends will love the authentic and high-quality Greek food on our menu.